John Mayo, of ComicBookPage, and Kay Kellam, of PopArtsPlace, have a spoilers filled discussion about the Percy Jackson: Sea of Monsters movie (based on the Rick Riordan novel of the same name) from 2013. This entry was posted in Podcast, Podcasts, Review and tagged Alexandra Daddario, Amusement Park, Annabeth, Anthony Head, Anthony Stewart Head, Bermuda Triangle, Brandon T. Jackson, Camp HalfBlood, Castle, Chiron, Clarisse, Connor Dunn, Cyclops, Dionysus, Douglas Smith, Greek Gods, Grover, Hermes, Jake Abel, Leven Rambin, Lightening Thief, Logan Lerman, Luke, Mr. D, Nathan Fillion, Olympus, Paloma Kwiatkowski, Percy Jackson, Poseidon, Rick Riordan, Sea of Monsters, Son of Poseidon, Stanley Tucci, Tereus, Thalia, Tyson, Water, Wine on June 26, 2015 by Kay. 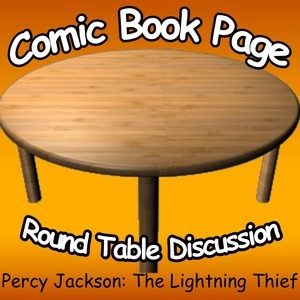 John Mayo, of ComicBookPage, and Kay Kellam, of PopArtsPlace, have a spoilers filled discussion about the Percy Jackson and the Olympians: The Lightning Thief movie from 2010. Neither Kay nor John have read the Rick Riordan novel on which the movie is based, but with a trip to Italy and Greece in their near future wanted to spend a little time pondering the Ancient Greek/Roman Gods, and what better way to do it, than with a movie about Zeus, and his lightening being stolen by a teenage Demigod? This entry was posted in Movie, Podcast, Podcasts, Review and tagged Alexandra Daddario, Annabeth, Athena, Bonita Friedericy, Brandon T. Jackson, Catherine Keener, Chiron, CSI: NY, daughter, Demigod, Ferryman, Gabe Ugliano, Grey's Anatomy, Grover, Hades, Hysterical Woman, Jake Abel, Joe Pantoliano, John Billingsley, John Mayo, Julian Richings, Kevin McKidd, Lightening Thief, Logan Lerman, Luke, Medusa, Melina Kanakaredes, Mr. Brunner, Percy Jackson, Persephone, Pierce Brosnan, Podcast, Poseidon, Providence, Rosario Dawson, Sally Jackson, Sean Bean, son, Son of Poseidon, Steve Coogan, Uma Thurman, Zeus on June 24, 2015 by Kay. 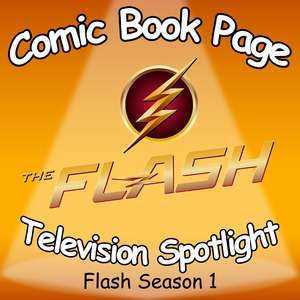 This entry was posted in Podcast, Podcasts, Review, Television and tagged A.R.G.U.S., Amanda Waller, Amazo, Anatoly Knyazev, Anthony Ivo, ARGUS, Arrow, Atom, Audrey Marie Anderson, Bex Taylor-Klaus, Black Canary, Brandon Routh, Bronze Tiger, Byron Mann, Caitlin Snow, Caity Lotz, Canary, Cedar Cove, Celina Jade, China White, Colin Donnell, Colton Haynes, ComicBookPage, CW, Cynthia Addai-Robinson, Danielle Panabaker, David Nykl, David Ramsey, DC, DC Entertainment, Deadshoot, Deathstroke, Detective Lance, Dylan Neal, Edward Fyers, Emily Bett Rickards, Felicity Smoak, Flash, Grant Gustin, Huntress, Isabel Rochev, Jamey Sheridan, Jean Loring, Jessica De Gouw, John Barrowman, John Diggle, John Mayo, Katie Cassidy, Katrina Law, Kelly Hu, Laurel Lance, League of Assassins, Lyla MIchaels, Malcolm Merlin, Malcolm Merlyn, Manu Bennett, Michael Jai White, Mockingbird, Moira Queen, Nyssa, Nyssa al Ghul, Oliver Queen, Paul Blackthorne, Podcast, PopArtsPlace, Quentin Lance, Ray Palmer, Robert Queen, Roy Harper, Sara Lance, Sebastian Blood, Sebastian Dunn, Seth Gabel, Shado, Sin, Slade Wilson, Starling City, Stephen Amell, Suicide Squad, Summer Glau, Susanna Thompson, Teryl Rothery, The Count, Thea Queen, Tommy Merlyn, Willa Holland, Yao Fei on June 17, 2015 by Kay.